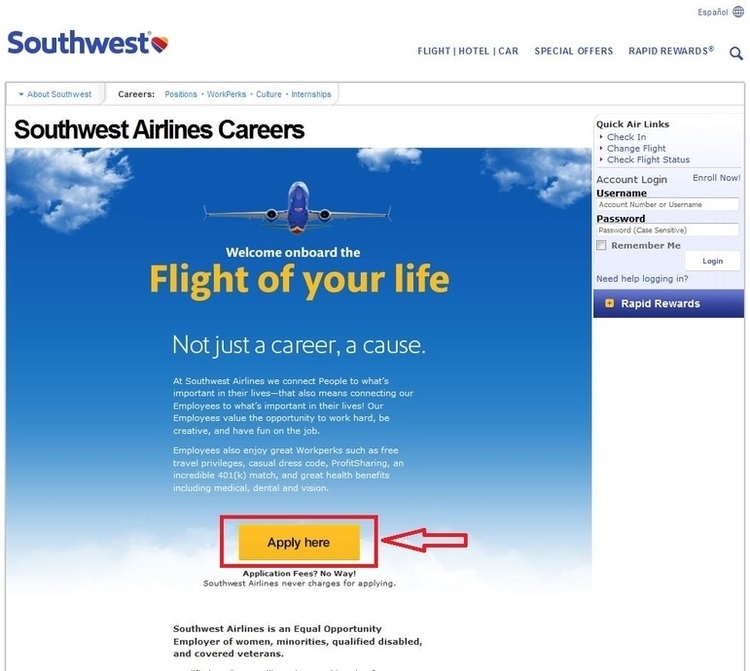 You can apply for Southwest Airlines positions only at its official careers site. Make sure you had watch the Purpose Video and known about the company, its Work Perks, as well as Application FAQ, etc. before you click “Apply here” to start applying. View all the current Southwest Airlines career opportunities listed on this career website, and click the job title to apply for what you want. 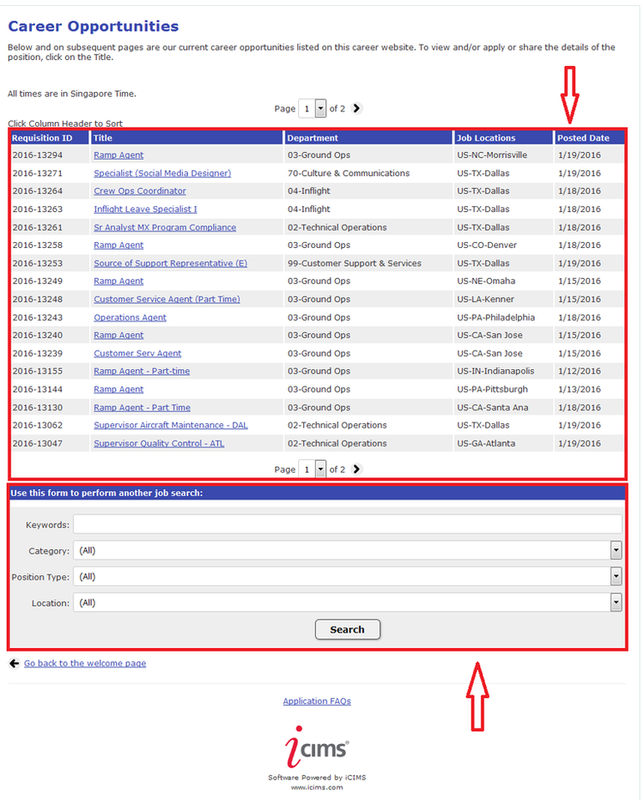 Or you can use the search box, entering keywords and selecting category, position type and location. Read the description of the job that you want to apply for carefully, and click “Apply Now!” to apply for the job. Login to begin your application if you have already created a profile. 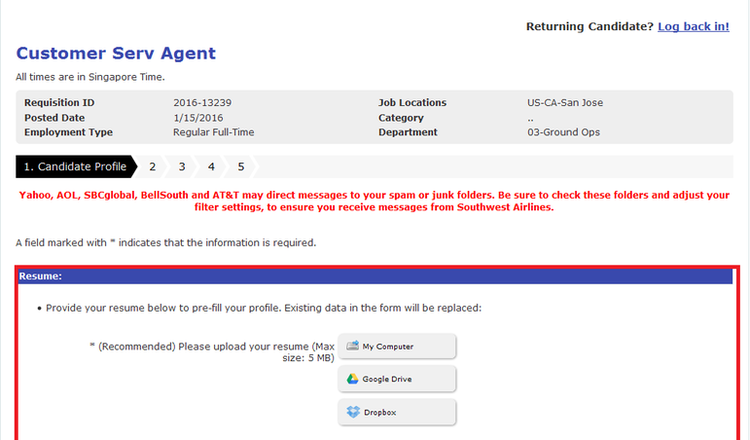 Or you are required to create a profile to apply for Southwest Airlines positions. 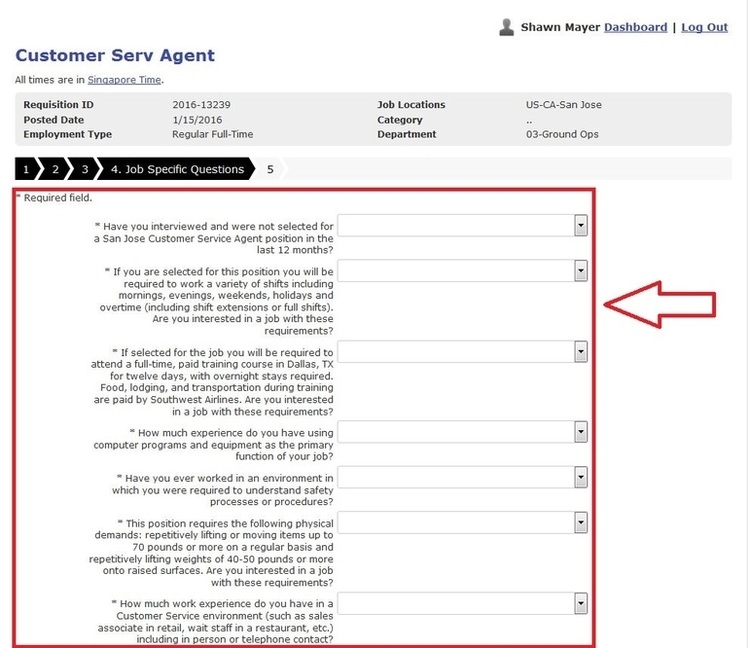 You are required to answer several questions listed on this page, and click “Submit” to move on to next step. 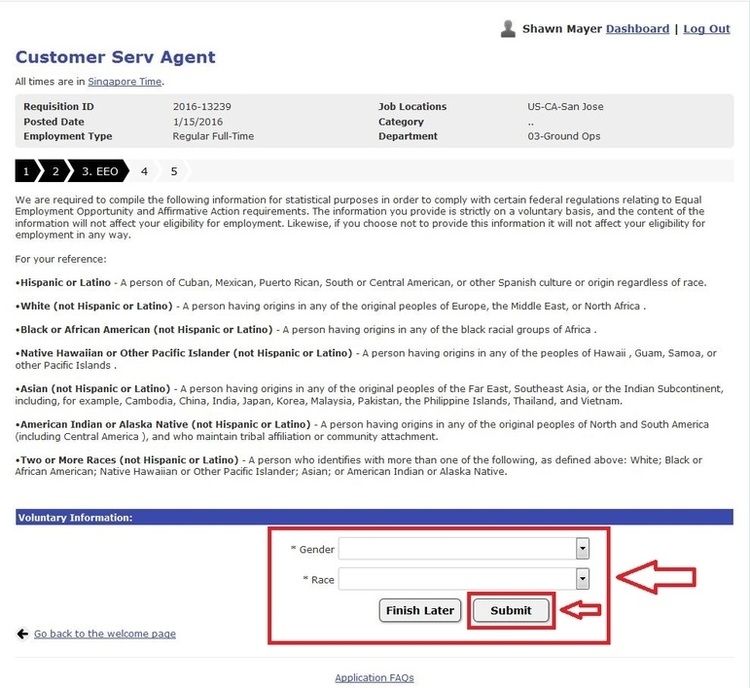 Provide the information to support certain federal regulations on a voluntary basis, and click “Submit” to continue your application. 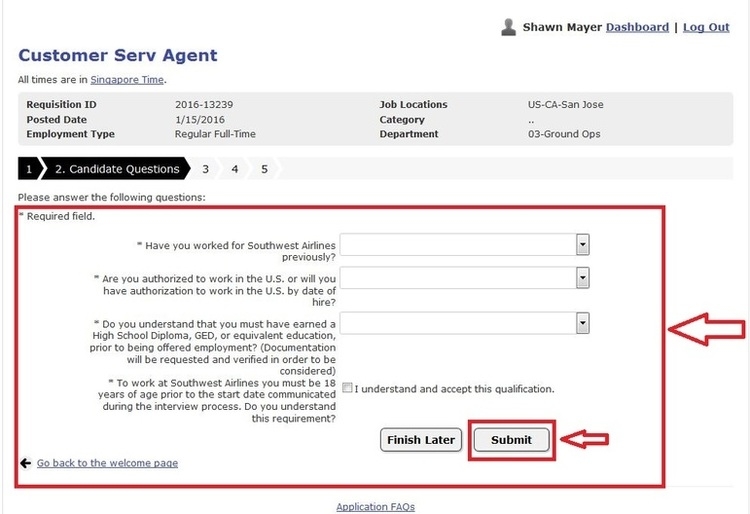 There are a list of specific questions for you to answer to apply for position at Southwest Airlines. Click “Submit” to move on to the final step. 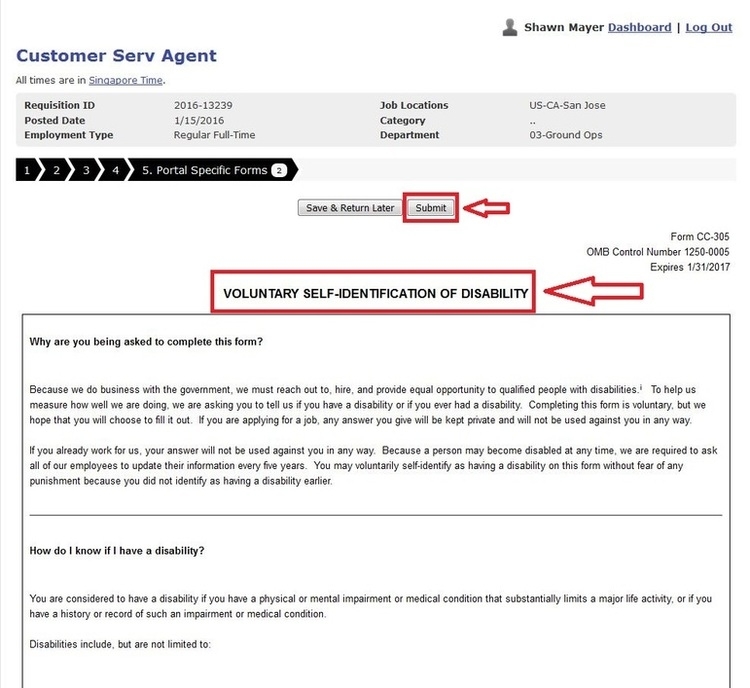 Fill in the voluntary self-identification of disability, and click “Submit” to complete your application for Southwest Airlines jobs. Click southwest.com/careers to apply for Southwest Airlines jobs online. Elise Kinsey 2017-08-02 17:14:59 Rated 2.0 Doesn't really let you know what jobs they have for the handicapped.